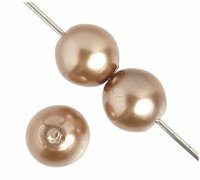 16 inch strand of 4mm Bronze Round Glass Pearl Beads. Approx. 108 beads per strand.